So it has finally landed on Vodafone in the UK for the 9700 Bold. As an operating system for your Blackberry, it brings many improvements not only in a noticable more slick interface and look but also in performance of some key apps such as the browser which for us is now more responsive, you can also have multiple tabs and the menu use is much more straight forward using a drop down to the right of the address bar. The Mail client all looks sharp, focussed and gives you great and quick access with the ability to group messages by title. It is a face lift but the change all round always makes for an initial good experience. The Contacts app looks sharper and presentation is more slick as is the Calendar. Even making calls is better! When you initiate a call you are instantly also presented with four icons across the bottom of the screen giving you Speaker, Mute, Hold & Add Participant options. A whole load more convenient that the previous OS. Making calls even looks better! Of course, the big improvement comes with the Home Screen with a swipe across the menu bar using the navigation pad revealing a neat Favourites menu across the bottom of the screen followed by Media, Downloads, Frequent, All etc. as you continue to swipe acros. A menu click gives you the option to Open the full App Tray to scroll around which slides up from the bottom of the screen. There is also a degree of user flexibility in what you can change and move around as you would expect. Scroll to the top of the Home screen and you get a bar which you can click on to reveal your Calendars up and coming events and Last Phone Calls. Swipe to the right of this for a much, much better search experience, finally! And to the left you can change the Phone Profile for alerts etc as per OS5. So a lot of blackberry users will have already experienced OS6 and wonder what all of the fuss is about for us. Well we have been faithful to our Blackberry Bold 9700 for occassion use 😉 and as such, have always been slightly jealous of those existing OS6 benefactors! So now we have it and it is a great improvement which we will enjoy when used. So I am no massive Blackberry user, but as a business phone there is no doubting the convenience of a blackberry device with a keyboard, it even adds nostaligia in an age of touchscreen technology. I feel I have to have one to use from time to time. And while it is a smartphone, it just isn’t the smartest phone, that battle is being played out between Android and Apple at the moment. But there is no doubt that the upgrade in OS to 6.0 is a big improvement and shows RIM take evolving the experience very seriously. 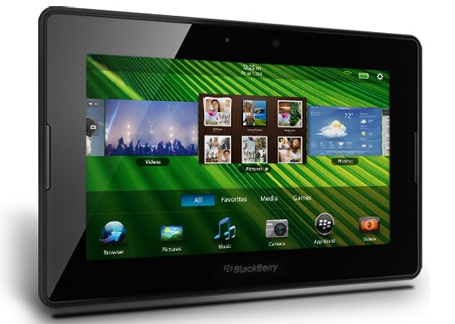 And there is more to come when the new Blackberry Bold 9900 is released with further improvements to the OS in the shape of OS 7. The new Bold 9900 will have a much more superior processing power, RAM, internal storage, NFC, holds a slimmer form factor, high-resolution display. That may put the Bold on a better competing ground but the feeling is that Android and IOS will pull away later this year again. And the App support still isn’t compelling enough under OS 5 or 6 and so more work from RIM is required here. But you have to distinguish the Blackberry Bold when comparing to say the iPhone, because it really is not for the same type of user, albeit Apple would argue differently as would some Bold users. So if you have a Blackberry Bold 9700 and have been waiting (not using Beta versions) for your network to update to OS6 then you will enjoy the upgrade. We have tested on Vodafine so please give us your feedback if you have yet to be provided the ability to upgrade by your carrier wherever you are in the world. OS6 is good as is the whole Blackberry Bold experience, and we would always recommend that comaprisons to say an iPhone or HTV Wildfire or Samsung Galaxy S is a little meaningless. The Bold is a business user smart phone and the fact that RIM have stayed loyal to the keyboard in their next Bold upgrade to the 9900 shows it is still seen as a commodity with strong demand. In the meantime, OS6 makes existing users just a little more happy, particularly if like us, you have been waiting for what seems like forever. Given that RIM basically produce what many see as robust business phones (I know they have handsets that come out of this grouping now), I am unsure where the Playbook will fit in and if it really gives you anything that other touchpads don’t already do and in some cases do better. Heres an idea, why don’t RIM send me one to review?!!! The reality is that I am not convinced given what I have seen on the web so far. It may get adopted by large businesses as they tech up from blackberry devices particularly to stock take or carry out real time on the floor activities integral to the business they are in. However, I am not sure the iPad or it’s competitors will not be more attractive. So the question is, will RIMs business/corporate credentials and exposure already, make the Playbook a success? It certainly looks like a device for business rather than pleasure particularly given the fact it sits hand in hand with a blackberry device (an essentiual partner for the Playbook to get anywhere), and that in itself may be a massive turnoff for the mass market. You do not need an Android phone for an Android tablet to work and give you full functionality and the same is true of iPad and iPhone. So I am a little puzzled as to why RIM would do the tablet in this way. It seems only die hard blackberry users will be attracted and perhaps this is where RIM wants ot excel… to it’s loyal client base. But at the end of the day, I know lots of Blackberry users and reality is that 9 times out of 10 they are only Blackberry users because of their employers choosing Blackberry and in their inside coat pocket or on the table on the train, they usually also pull out an iPhone or more rarely an Android phone as there handset of personal choice. I am not sure RIMs Playbook helps them any in honesty. Time will tell but I have my doubts.